KATHMANDU, Dec 03: The 2nd International Watercolor Festival kicked off in Kathmandu Monday. Inaugurating the festival, Deputy Prime Minister and Minister for Defence, Ishwor Pokhrel expressed his hope that this type of event would be helpful in promoting the tourism in Nepal. 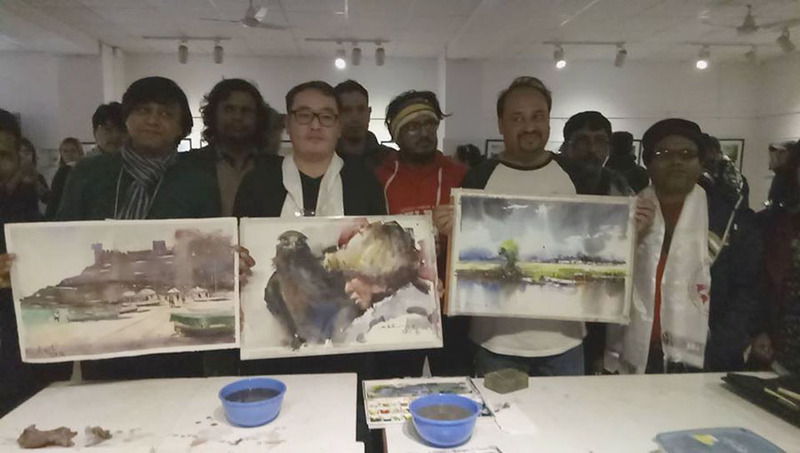 "Nepal is naturally a picturesque country," he said, adding that this could be an important event for Nepalis to promote the country and its natural beauty through the means of art.